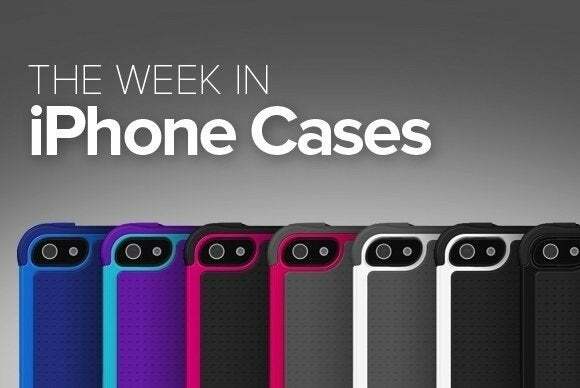 This week’s roundup of new iPhone’s cases also features customizable cases from Casetify and Griffin, plus a cute leather wristlet from Gresso. 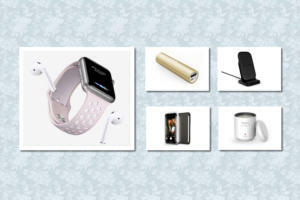 ...plus customizable cases, sleeves, and more! The Metaluxe (iPhone 5/5S, 6, and 6 Plus; $50) features interchangeable backplates that can be customized with your own photos or designs. 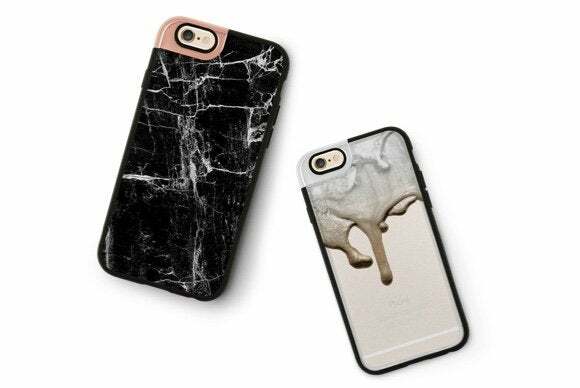 If DIY isn’t really your thing, Casetify has several stock patterns for you to choose from instead. The case features press-through button overlays that nicely compliment the overall design, and raised edges around the display that keeps it safe when placed face-down. 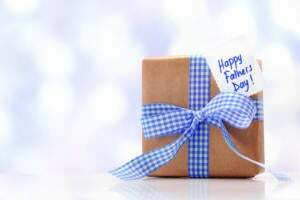 It is made from a rubberized material that will keep it safe when dropped. It also includes a generously-sized cutout for the iPhone’s back-facing camera and flash, which is accented by an aluminum alloy available in rose gold or chrome silver to match your iPhone’s look. 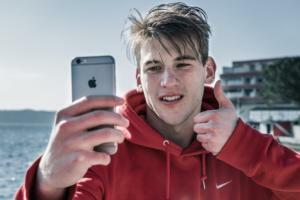 Dropping your iPhone in water could potentially be a big hassle—not to mention a big expense. Luckily, the Catalyst (iPhone 6 Plus; $75) not only protects your iPhone from shocks and drops, but waterproofs it up to five meters. Designed to meet military drop-test standards, this rugged case comes with a screen protector that doesn’t interfere with the iPhone’s touchscreen, a rotating crown dial that controls your volume, and special speaker covers that provide crystal-clear audio for phone calls and music. Available in white or black, the Catalyst provides full access to all your ports and buttons, and features a transparent front and back that shows off your iPhone’s original design. 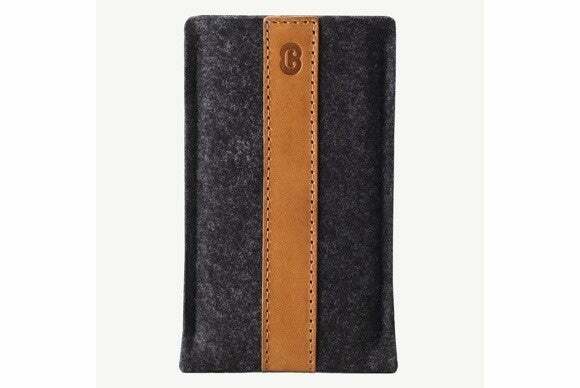 The Sleeve (iPhone 5/5S, 5C, 6, and 6 Plus; $17 to $27) surrounds your iPhone in a Merino wool felt enclosure, accented with a leather strap that runs around both sides. Soft to the touch, the Sleeve lets you toss your iPhone in your pocket or bag without worrying about scratching it—it keeps it nice and safe. Pick between four natural-toned color schemes: Deep caramel, smokey gray/natural, smokey gray/black, or smokey gray/tan. Don’t let the S6+ Outfit’s (iPhone 6 and 6 Plus; $27 to $29) minimalistic design fool you—this case packs maximum protection without the bulk. Available in a variety of solid colors, the case features precise cutouts for the iPhone’s buttons, headphone jack, back-facing camera, and Lightning port. It also has top-notch corner protection that keeps the iPhone’s fragile corners safe. The S6+ Outfit sports a dual coating over its polycarbonate and aluminium base that should improve your grip and make it easier to slide in and out of your pocket. 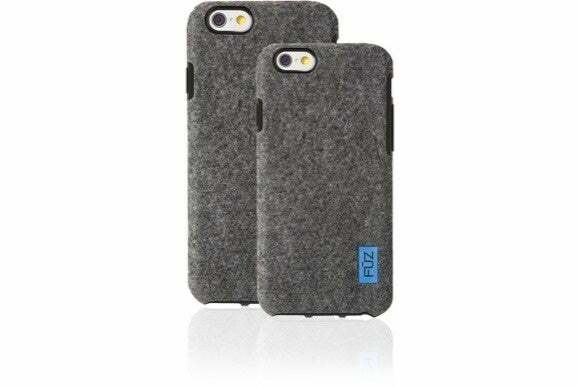 If you need something warm and fuzzy to the touch (winter, I’m looking at you), the Felt Case (iPhone 6 and 6 Plus; $30 to $35) is wrapped in a layer of lush felt, which is set on top of a tough thermoplastic hard-shell case that helps prevent damage from impact. The case offers a slim profile that measures less than two millimetres, and includes press-through button overlays to keep out dust and dirt. The Valencia Collection (iPhone 6; $30) includes a lineup of cute wristlets that let you leave your handbag at home—they keep your iPhone safe, and pack a little extra room for your keys and accessories. 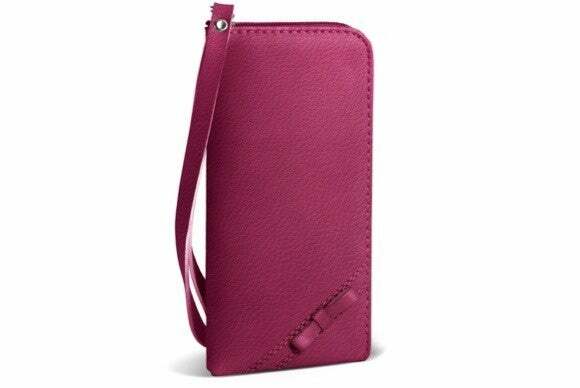 Made of genuine leather, the Valencia Collection wristlet comes with a wrist strap for easy carrying, includes a full zipper that keeps it securely closed, and features a microfiber lining to keep your iPhone scratch- and smudge-free. If you’re in the market for a rugged case with a little extra flare, the Survivor Custom Case (iPhone 6 and 6 Plus; $50 to $60) offers a fun way to spruce up your iPhone. 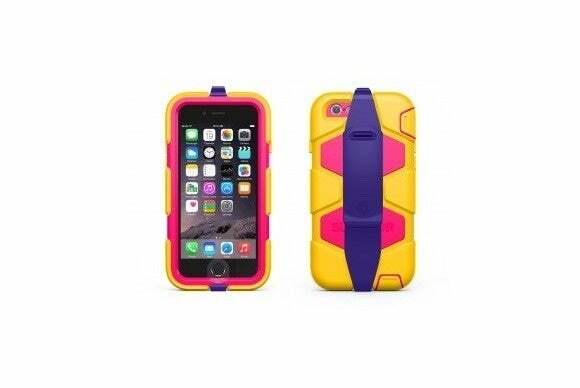 It features a full range of color customizations for its silicone soft-shell outer wrap, inner polycarbonate hard shell, and belt clip. 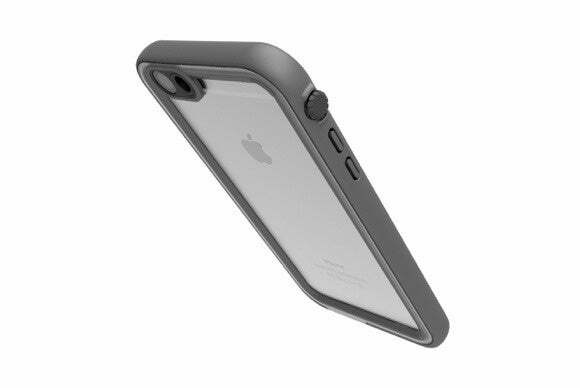 Manufactured to withstand drops from up to six feet high, the case prevents damage from rain or dust, and provides unobstructed access to the iPhone’s touchscreen, buttons, and ports. 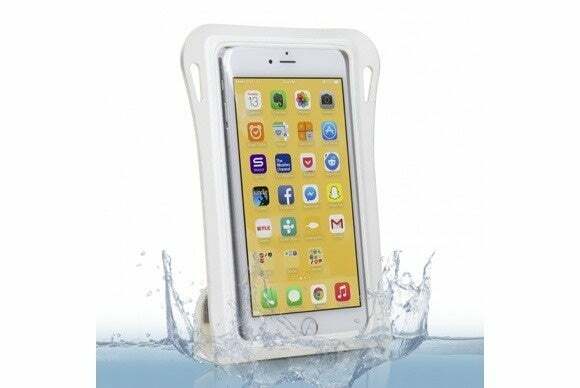 The GoMate (iPhone 5/5S, 5C, and 6; $20) is waterproof up to 20 feet, so it will keep your iPhone safe in any wet condition—be it rain, snow, or an accidental drop in a puddle or swimming pool. 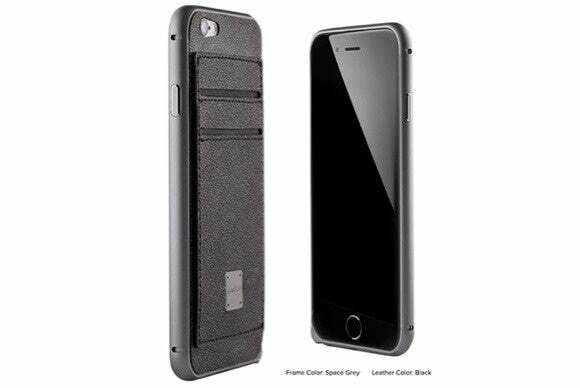 The case includes a lanyard that lets you secure your iPhone around your neck, and a wide cutout for the iPhone’s back-facing camera—two handy features that make this case a perfect option for taking photos underwater. It also includes a clear front panel that keeps the iPhone’s touchscreen safe without limiting any of its capabilities. The Autograph Fusion Case (iPhone 6; $25) combines an aluminum bumper with an adhesive back that includes two compartments for your credit card and photo ID—plus an extra pocket for cash. The bumper sports metallic press-through button overlays that keep out dust and dirt, and is available in space grey, silver, or gold to match your iPhone. There is also a special space grey option that features a crystal-rimmed bumper—a flashy alternative to its basic design.